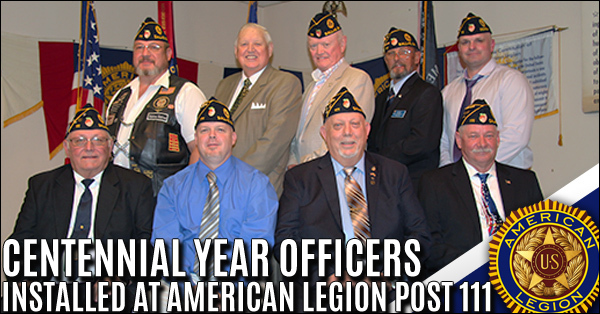 Newly elected officers for the 2018-2019 Centennial year term were recently installed at American Legion Post 111 in Dallas. 2019 marks the 100th Anniversary of the American Legion. The Post would like to publicly thank all past officers and members of Post 111 for their loyal and dedicated service. Current members are encouraged to renew their dedication to the Post and become involved in our many activities. 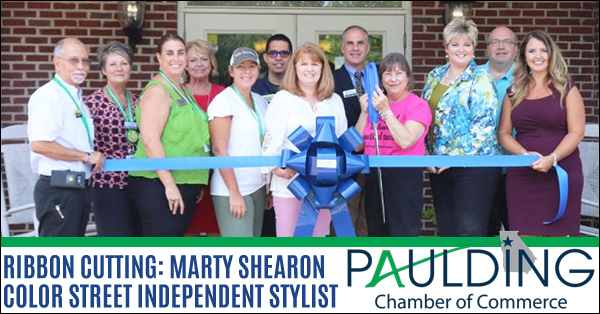 A Paulding Chamber of Commerce Ribbon Cutting Ceremony was held on Tuesday, August 14th for Margaret Roth Shearon, Color Street Independent Stylist. Margaret Roth Shearon joined the rapidly growing company on the 4th of July. Ribbon Cutting for Your Great Events, Inc.
A Paulding Chamber of Commerce Ribbon Cutting Ceremony was held on Wednesday, August 15th for Your Great Events, Inc. 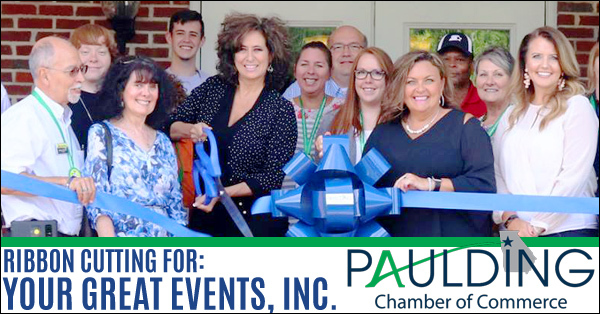 The Ribbon Cutting was held at the Paulding Chamber of Commerce and Your Great Events owner Peggy Robinson and Operations Manager Beth Deets treated everyone in attendance to a delicious lunch. 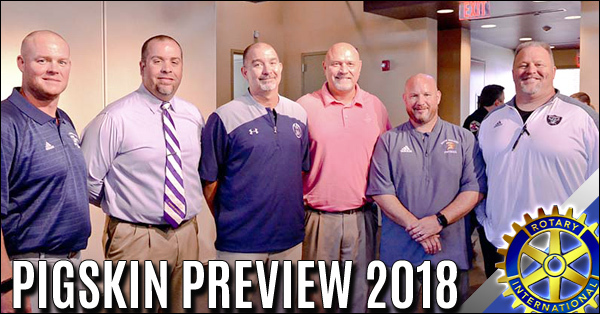 This year the 7th Annual Pigskin Preview took place at the Dallas Civic Center in Downtown Dallas. Organized by the Paulding County Rotary Club, Club President Ford Thigpen greeted everyone. Following the provided lunch Mr. Thigpen thanked them for their continued support and participation in this event. He expressed what a privilege and honor it was for the Rotary club to participate in this event annually with our high schools. Competing against their peers across the state, fifty Georgia 4-H members ultimately earned the coveted title of “Master 4-H’er” at the annual Georgia 4-H State Congress, held July 24-27 at the Crowne Plaza Ravinia in Atlanta. 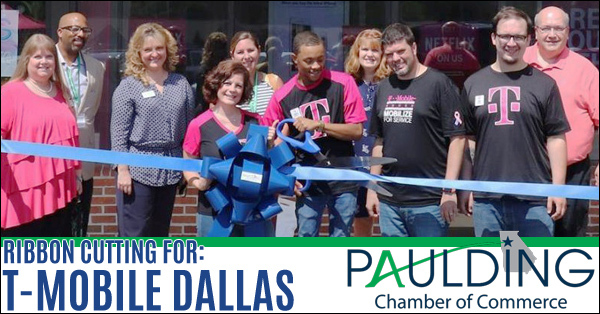 A Paulding Chamber of Commerce Ribbon Cutting Ceremony was held on Tuesday, August 7th for T-Mobile of Dallas, GA. 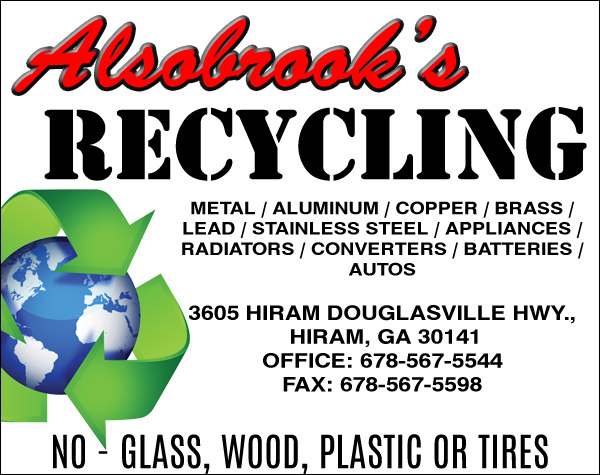 The Dallas location is the 2nd retail store in Paulding County, with the original store located in Hiram. 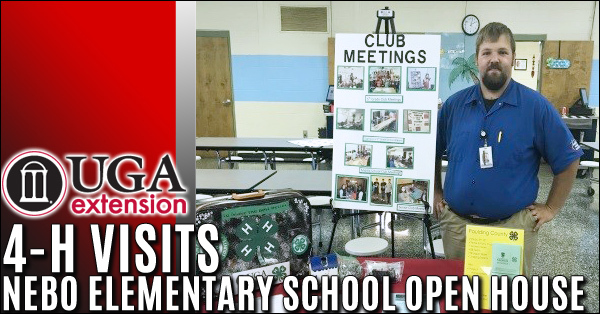 The UGA Extension - Paulding County 4-H attended Open House at Nebo Elementary School for the 2018-2019 School Year. 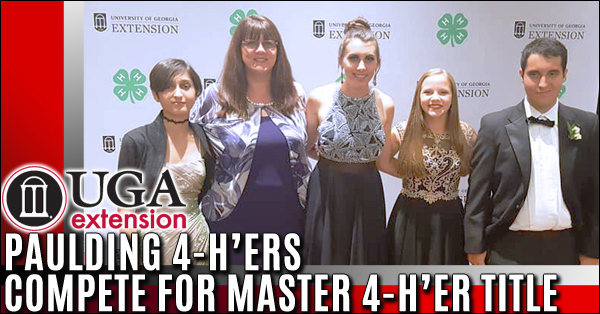 Coordinated among the two newest 4-H program assistants, LaRhonda Likely and Ratasha Middleton, the turnout was a success as parents and students signed up to learn more about the program. The Paulding County Rotary Club welcomed this year's participants in the RYLA program. RYLA is a Rotary program that offers leadership skills and training to youth. This year's participants were Callie Benson, Addie Thigpen, and Marion Plumley. All of the participants shared their experiences with the club and all agreed that it was a worthwhile program. 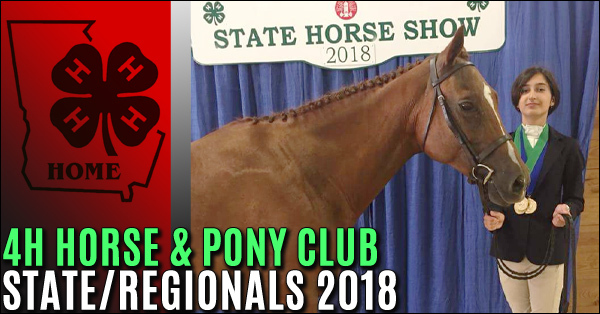 This year, Paulding County 4-H Horse and Pony Club competed in the 2018 Georgia State 4-H show in Perry, Georgia, held from June 11th through June 15th. 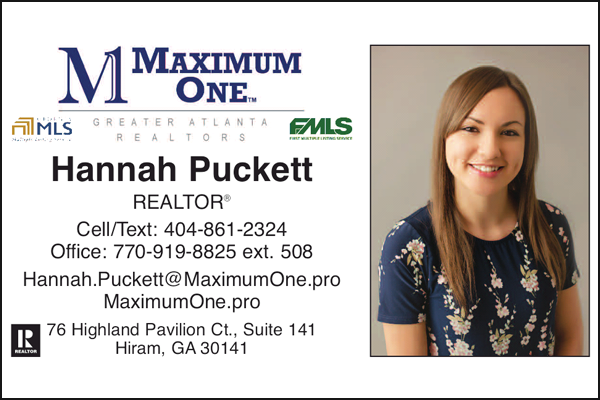 Paulding county sent five competitors this year: Miranda McTyre, Juliette and Nicholas Mckinley, Ashley Rossman, and Macardie Kilgore. Institute for Organization Management, the professional development program of the U.S. Chamber of Commerce Foundation, is pleased to announce that Stacy Hamby, IOM, President and CEO, of the Paulding Chamber of Commerce, has graduated from the program and has received the recognition of IOM. 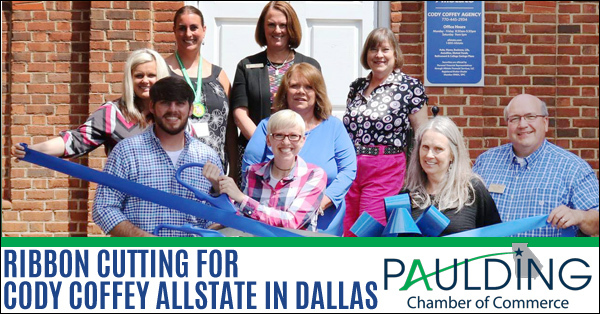 A Paulding Chamber of Commerce Ribbon Cutting was recently held on July 17th for the Allstate Insurance Agency of Cody Coffey in Dallas. 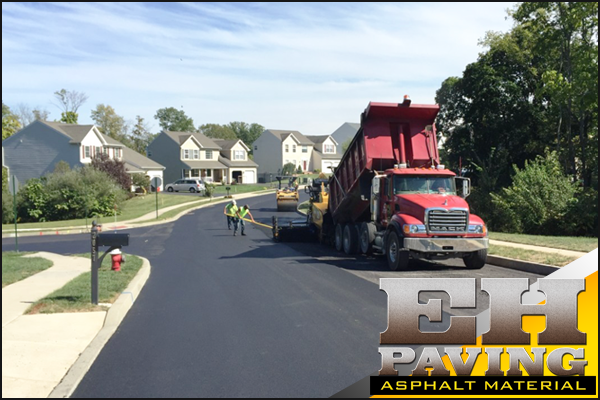 Cody’s knowledge and understanding of the people in this community allow him and his staff to offer a personal touch from their agencies. 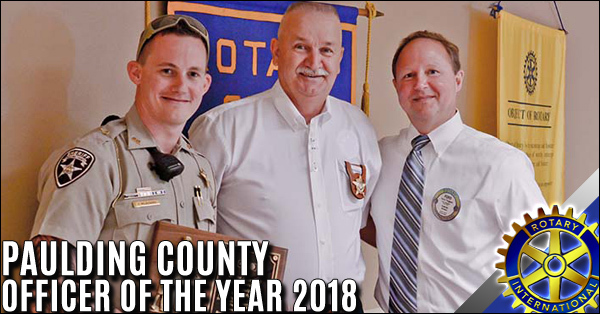 Deputy Terry McAdams, of the Paulding County Sheriff’s Office Uniform Patrol Division, received the “Officer of the Year” award from the Paulding County Rotary Club at their regularly scheduled meeting. Deputy McAdams was accompanied by Sheriff Gary Gulledge along with his family and supervisors at a luncheon held in his honor. 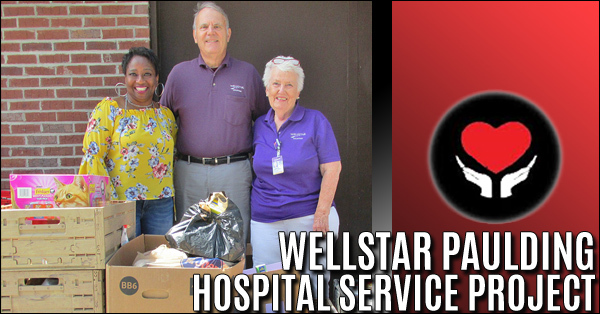 WellStar Paulding Hospital campuses and their Volunteers, Volunteens, and employees conducted a food drive during June 2018. 400 pounds of food and 25 pounds of dry goods were collected to benefit Helping Hands of Paulding County. 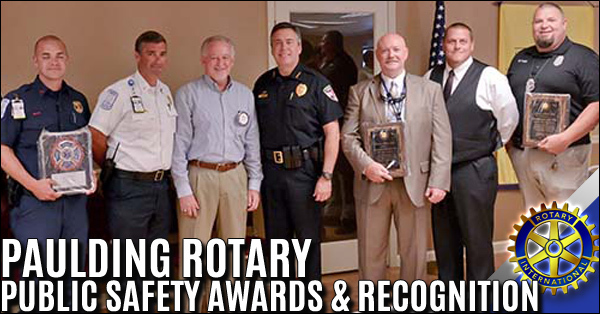 The Paulding Rotary annually recognizes first responders with Public Safety Awards & Recognition. 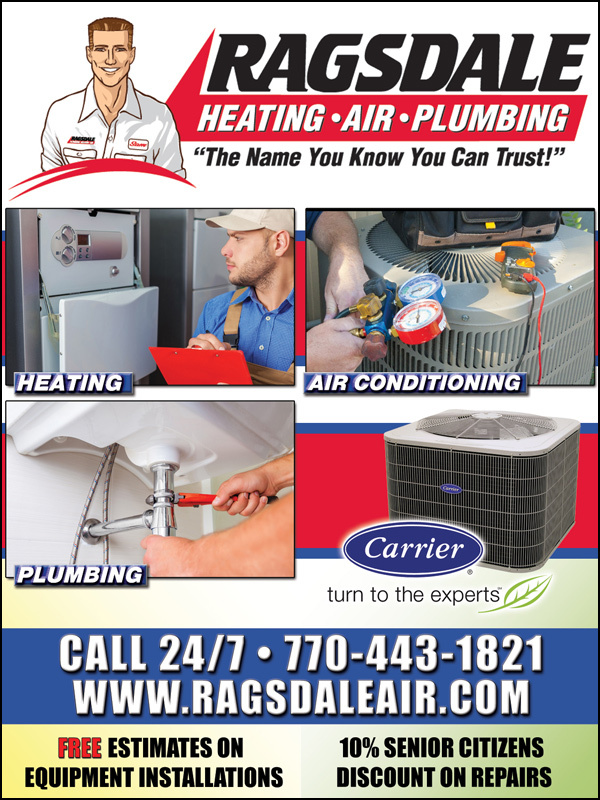 Our emergency services in Paulding County are always available and stand ready to come when called. 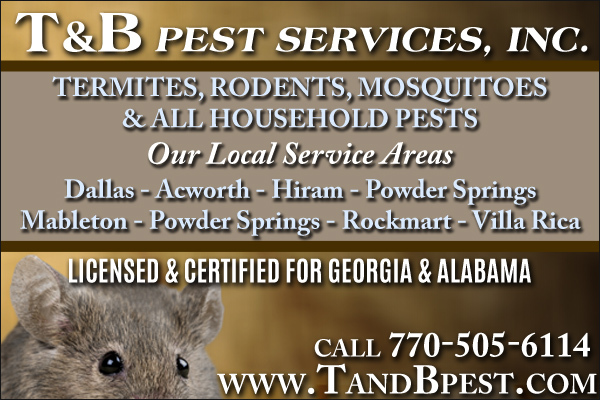 They respond to fires, automobile accidents and defend us against crime. Individuals recognized here are heroes that give more than what is asked. 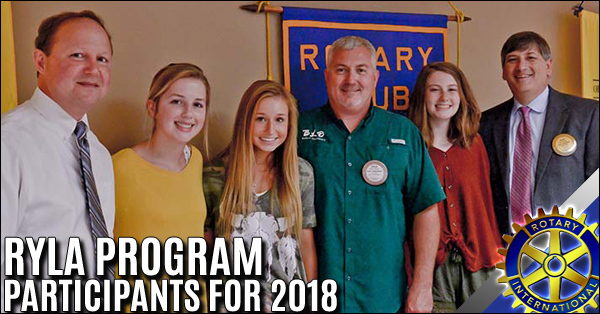 With a population in excess of 150,000, Paulding County is able to sustain two (2) Rotary Clubs: Dallas Rotary Club AND Rotary Club of Paulding County. The Dallas Rotary Club is the newer of the clubs. It was established in 2003 and has 17 active members. This club currently has its regular meetings on Thursday mornings at Audrey’s Cafe. Please check Facebook for schedule. 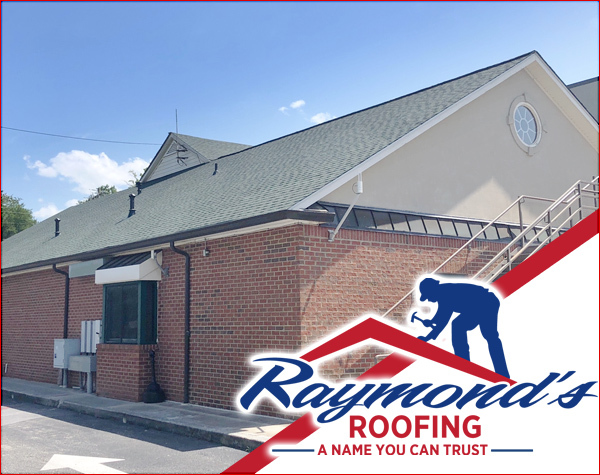 The Paulding County Rotary Club, the first Rotary Club in Paulding County, was chartered in 1969. It has approximately 42 active members and meets regularly. Although the clubs are different from one another, the common mission is the same – SERVICE TO COMMUNITY. We invite you to visit each club to determine which is the best fit for you. Please see each club on Facebook for current meeting schedule. 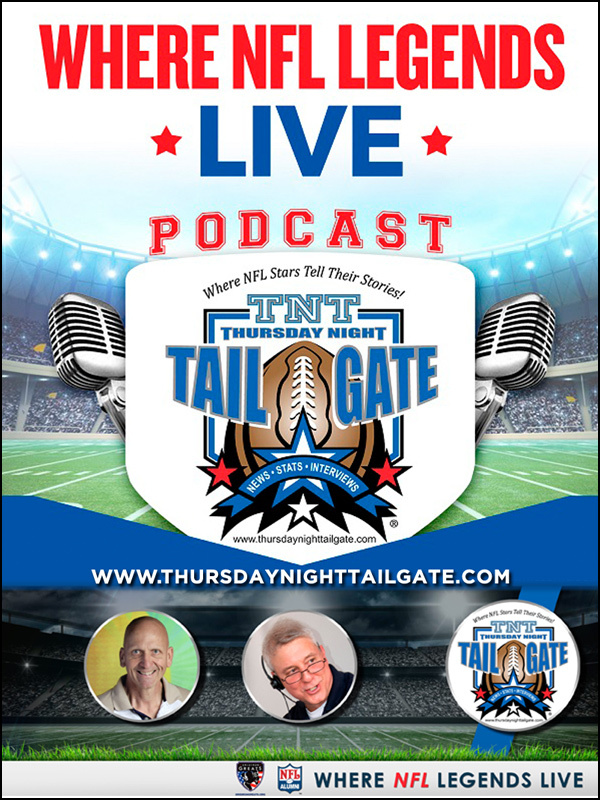 FOUR WAY TEST: Of all the things we think, say or do…. Is it the truth? Is it fair to all concerned? Will it build good will and better friendships? Will it be beneficial to all concerned? The Rotary Club of Dallas and the Paulding Rotary Club.